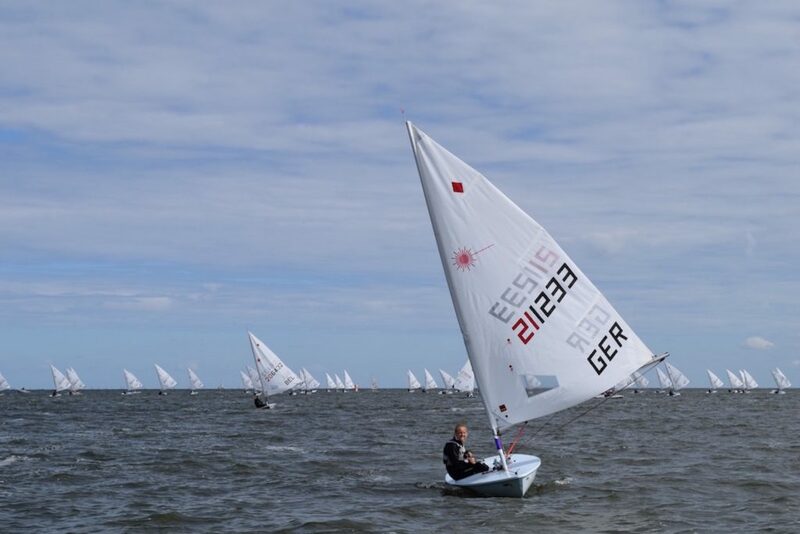 (Medemblik, Netherlands) – Two races were completed on Day 1 of the 2017 Laser Radial Youth World Championships. 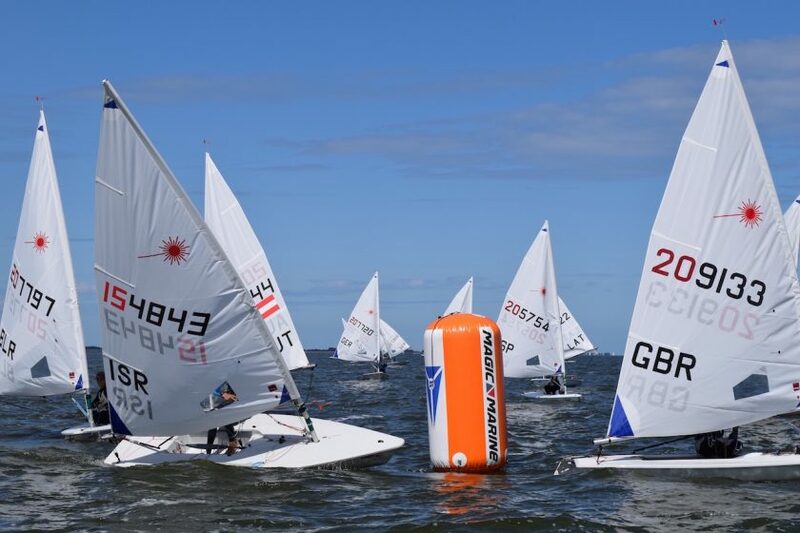 390 sailors from 46 countries spread across 6 fleets and began racing under sunny skies and light wind on the IJsselmeer, the iconic sailing waters of Medemblik, Netherlands. The first race of the day on Course B was briefly postponed due to light and shifting winds, but as the breeze slowly filled in, the green fleet took to the race course first. All races got off to a smooth start, with only one General Recall for the yellow fleet on Course A. In today’s light breeze, getting clear air was important and sailors who took an early lead were usually able to extend their position to the finish. Holding a lane upwind in the light breeze and sometimes choppy conditions proved challenging with most fleets being well separated by the end of the race. Lin Pletikos from Slovenia got it right today and she is currently leading the girls with a total of 3 points, followed by Germany’s Julia Buesselberg with 5 points, and Annabelle Westerhof of the Netherlands in third with 9 points. Fourth place is claimed by Germany’s Florence Permantier, who is featured in the photo above as she horizoned the fleet to wind the first purple fleet race. Racing is tight in the boys division, with a three-way tie for first overall. 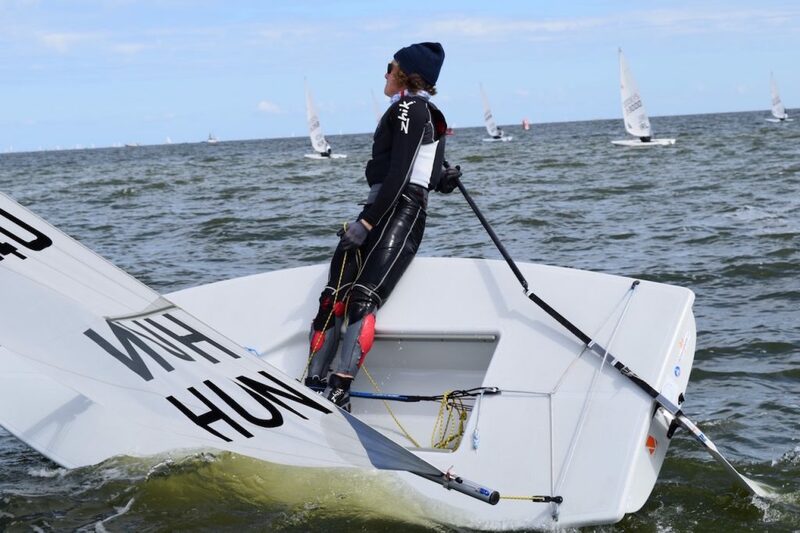 With only four points after two races, Australia’s Caelin Winchcombe, Nicholas Bezy from Hong Kong, and Matias Dietrich of Argentina all mastered today’s conditions. Bezy scored a bullet in the second race by port tacking the entire green fleet off the start, and held onto first place through the finish. Dietrich similarly put on a clinic to win today’s first red fleet race by a sizeable margin.